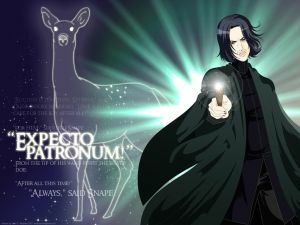 Analysis: Rubeus Hagrid | Expecto Patronum! All at once there was a scraping noise and the egg split open. The baby dragon flopped onto the table. It wasn’t exactly pretty; Harry thought it looked like a crumpled, black umbrella. Its spiny wings were huge compared to its skinny jet body, it had a long snout with wide nostrils, the stubs of horns and bulging, orange eyes. “Isn’t he beautiful?” Hagrid murmured. He reached out a hand to stroke the dragon’s head. It snapped at his fingers, showing pointed fangs. “Bless him, look, he knows his mommy!” said Hagrid. According to Newt Scamander’s Fantastic Beasts and Where to Find Them (one of the Care of Magical Creatures texts used at Hogwarts), Dragons are a Class XXXXX fantastic beast – i.e., a “known wizard killer / impossible to train or domesticate.” In addition, its eggs are “defined as Class A Non-Tradeable Goods.” Yet, of course, the moment he gets a chance, Hagrid gets his hands on one of these dragon eggs, nurtures it like a mother hen, and then tries to raise the baby dragon. “Norbert the Norwegian Ridgeback” is a chapter that not only helps to send the plot into its final drive toward the climax, but that also builds in character information concerning Hagrid that will prove important in later books. 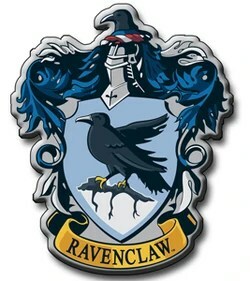 But first, let’s talk about memory charms and the Statute of Wizarding Secrecy! This is probably a significant moment in the series. I believe (and please correct me if I’m wrong) that this is the first reference in the books to the notion that Wizards are so secretive in relation to Muggles that Muggles need to have memory charms performed on them if they accidentally run across evidence of the magical world. So we get our first clear hint at the scope of the Statute of Wizarding Secrecy (still unmentioned in the books by name at this point). And we learn that not only do Dragons exist in modern Europe, but the Wizards in those countries hide their existence from Muggles. We already know that he has a liking for unusual animals and that he has been known to acquire them from strangers in pubs. We already know that he has wanted a dragon since he was a kid. (See conversation with Harry re: Gringotts within 24 hours of rescuing the boy from the Dursleys). And now, we find that Hagrid has won a Dragon egg by playing cards with a stranger in a pub. (My guess: the Hogs Head, which boasts some rather strange custom). 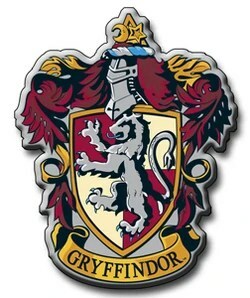 So, various Hagrid themes that JKR has been building incrementally start to come together in this chapter – which is also a pivotal chapter in the development of the story, as the events that occur in the wake of spiriting the Ridgeback out of the country lead directly to the events that propel the plot towards its ultimate climax. Hagrid’s love of magical creatures will play itself out through the series (as will his pub adventures) – but this is the first time it will all become a major plot point. In PS/SS, the Dragon is disposed of successfully with no harm to the Dragon… and no lasting damage to Hagrid or the Trio. In later books, though, Hagrid’s love of other magical creatures (such as the Acromantula and the Hippogriff) will reveal a richer potential for tragic outcomes. But at this point, JKR just dishes up a harmless, comical, and fairly endearing episode. Okay, so it breathes fire (and he lives in a wooden hut). Okay, so it grows at an exponential rate (and will soon be the size of his hut). Okay, so it bites with poisonous fangs (and Ron’s bitten hand has swollen and turned green). 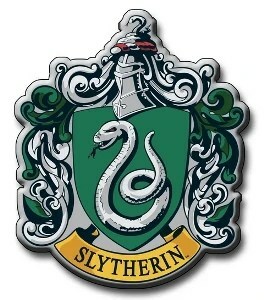 Okay, so it’s illegal to own one (and Malfoy knows about it). Regardless, Hagrid is absurdly affectionate, and unashamedly maternal. He even sings it lullabyes. Though Harry and Ron love their friend, they are not always enamoured of the fact that his favorite magical creatures are usually the most dangerous ones. But then, Hagrid is himself the son of a magical creature – and one so dangerous that its kind was banished from Britain after the 1st Wizarding War.